A research currently conducted by the Swiss Gemological Institute SSEF studies methods of “low-temperature heating” (below 1000 °C) of fine-quality rubies from Mozambique. The aim of the study is to find ways to better detect these rubies – a challenge for gemologists, gemological laboratories and ultimately for the ruby trade. 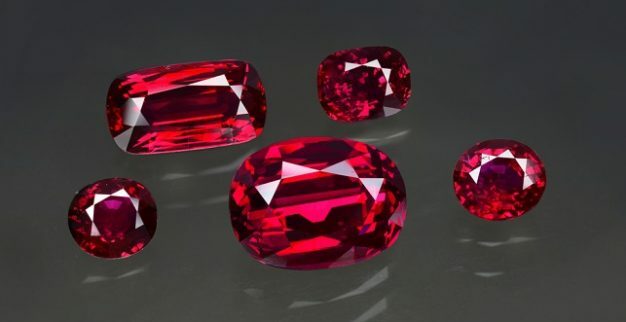 According to the SSEF, in recent years many fine quality rubies from Mozambique have come onto the market after undergoing such “low-temperature heating”. This treatment, says the organization, aims at enhancing the stone’s color slightly “by reducing subtle purplish zones which are sometimes be present in rubies from this location”. The problem is that only a portion of these rubies show the microscopic features that commonly characterize heat treatments, while others show no or nearly no heat-related transformations of inclusions. Therefore, the SSEF research, which studies more than 200 unheated and heated rubies, seeks to establish “more specific criteria to detect low-temperature heat treatment”. The researches at the SSEF use close microscopic examination of the samples as well as an analysis of “specific infrared spectroscopy (FTIR) peak features”. SSEF’s FTIR study showed that, “rather than using individual peaks to determine if a ruby has been heat-treated or not, the focus should be on peak patterns”. The results of this study will be published in the coming months. Dr. Michael S. Krzemnicki, Director of SSEF, commented: “Due to the challenges associated with detection of low-temperature heat treatment of rubies from Mozambique, we felt that more scientific research was necessary to shed light on more specific detection criteria using FTIR. We are confident that this and other research will contribute to consumer confidence in the beautiful ruby material coming from Mozambique”.